Despite initially sounding a bit like the kind of music you hear bleating out of the New Age stand in garden centres, Torn Sunset takes John Foxx's music into new territory. 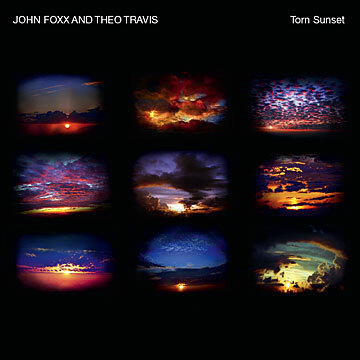 From an ambience and atmosphere point of view, Torn Sunset continues in a very similar style to Translucence, Foxx's 2003 collaboration with Harold Budd. But it's the warmth and individuality of Theo Travis' flute that makes the album so distinctive. As with much of Foxx's ambient music, a free-roaming, gentle piano takes the lead, with a ton of reverb for good measure. Torn Sunset certainly feels like an expansion of Foxx's previous ambient works, with moods ranging from sandy, eastern tones to warm African sunsets and sudden, tropical storms. Midway through the album, there's a subtle crossover into 2006's Tiny Colour Movies (as if the lovely cover artwork wasn't a hint! ), but in general, the tracks almost blend together into one, long musical daydream. Torn Sunset is a warming and emotive album, although it may not cater to the tastes of fans more versed in Foxx's electronic music, it certainly stands out as being perhaps the most diverse album in the John Foxx canon.